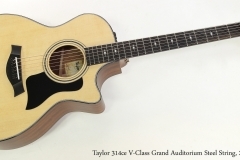 The Taylor 314ce has been a standard workhorse for a number of years, and is now built with the new Taylor V-Class bracing. This new bracing style increases dynamic response, sustain and volume and improving harmonic agreement. 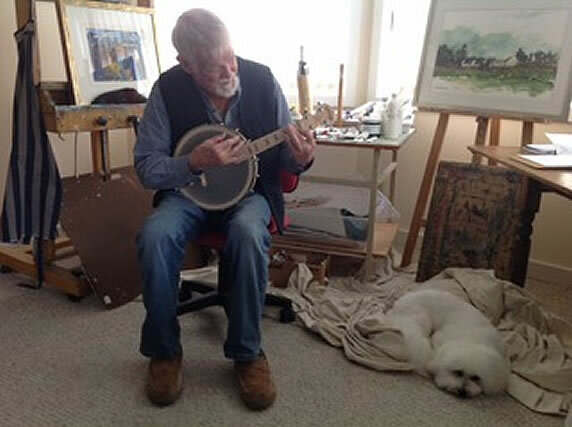 What ‘Harmonic Agreement’ means is that this bracing helps bring the harmonic overtones produced by various notes into line, causing chords to sound more in tune. 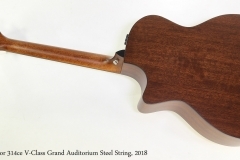 Overall the revised Taylor 314ce V-class Grand Auditorium uses the same proven design formula – a solid Sitka Spruce top paired with solid Sapele back and sides, Mahogany for the neck and body blocks, and Ebony for the bridge, headplate, and bound fingerboard. A Deluxe Taylor hard shell case is included. “Our popular Grand Auditorium 314ce is an acoustic workhorse that performs equally well in the practice room, recording studio, and on stage. This latest edition features our acclaimed V-Class bracing, a revolutionary innovation in acoustic sound that responds with greater musicality and harmonic agreement. By introducing a more orderly vibration to the guitar’s top, V-Class bolsters the sustain and volume to offer players a more dynamic voice to explore, while also resolving the minor intonation issues that players have long had to contend with. Together with a solid Sitka spruce top and solid sapele back and sides, you can expect a balanced and articulate blend of top-end brightness, midrange fullness, and low-end warmth that accommodates an array of playing styles.